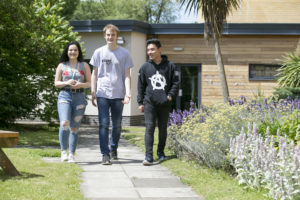 From industry standard training facilities to specialist classrooms, we have equipped our college to offer the best education and training for you. You will be surprised at what is behind our doors – exceptional science labs, beautiful hair and beauty suites and even an onsite Cinema – check out some of our facilities below! 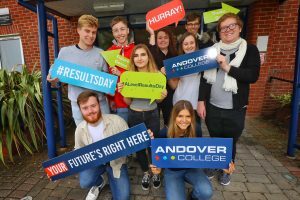 With one of the highest A Level pass rate in the area and outstanding teaching, student success is guaranteed in Andover’s Sixth Form. The ideal study setting for those who wish to take A Levels with the hope of progressing onto a degree, higher apprenticeship or employment. Our sports students have full access to the Andover Leisure Centre, where various lessons are taught and memberships are also available for a discounted price. The Football Academy is based at Portway Stadium – home to Andover Town Football Club and linked with the new partnership, AFC Bournemouth Second Chance Elite Programme. Learn more! Alongside multiple study centres, the College is equipped with computer suites installed with the latest software to take your digital skills to the highest level.